Our friends at Orlando Theme Park News are reporting that some Guests visiting the Magic Kingdom Park may receive a special “surprise and delight” FastPass on select evenings in November and December when the park is very busy. 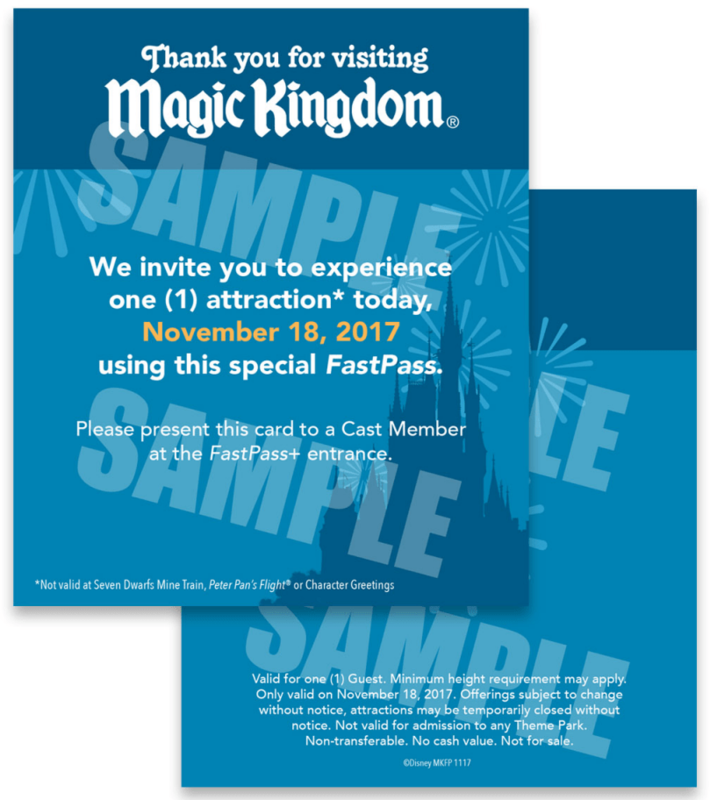 These special paper FastPasses will only be valid on the same date they are distributed (which will be noted on the FastPass). FastPasses are valid for (1) Guest each and may not be used at Seven Dwarfs Mine Train, Peter Pan’s Flight, or any of the character greeting locations found around the park. IMAGE: © 2017 Walt Disney World Resort. All Rights Reserved.